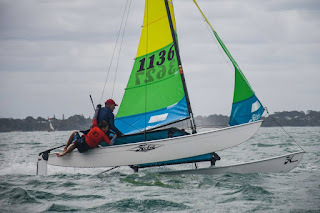 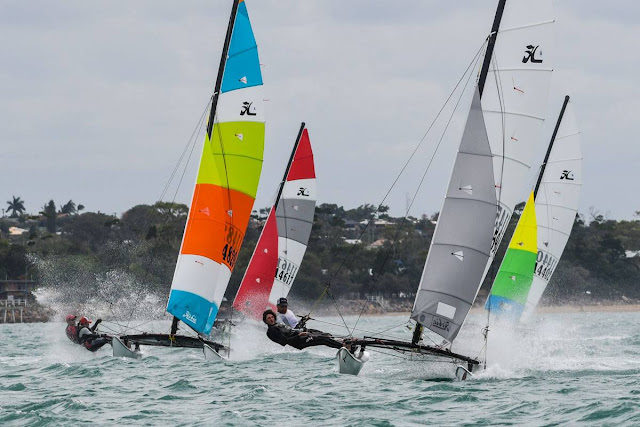 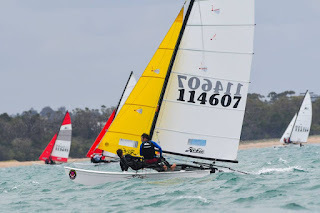 "In strong winds skipper Darren Smith and crew Josie Mark from Western Australia moved into the lead after day 2 in series 2 of the 2016 Australian Hobie Cat® Nationals in Hervey Bay, Queensland. 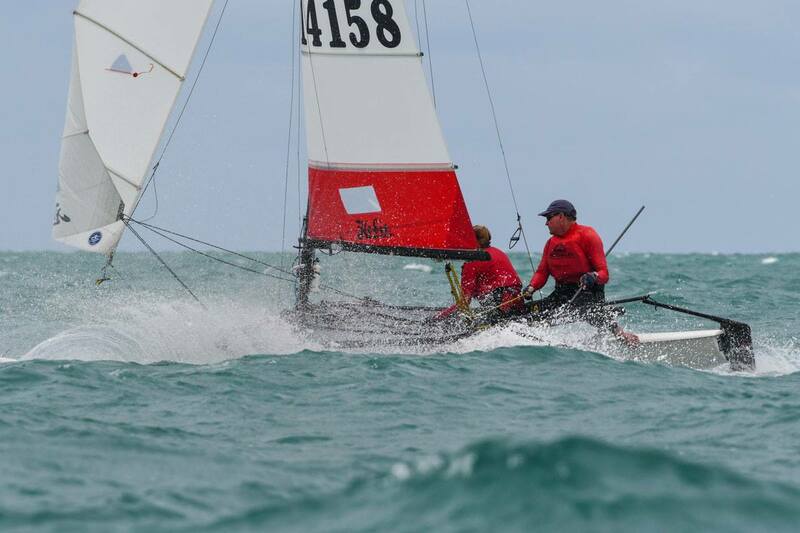 The team moved up from second position to head day 1 leaders, fellow west coasters, Cam Owen and Suz Ghent who dropped back to second, just one point behind the top place. The top three places are rounded out with Queenslanders Andrew Keag and Helen Warneke sitting in third position. 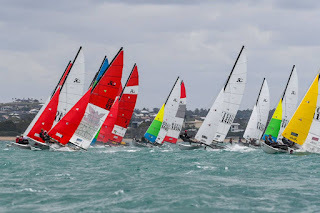 Check out the full day 2 standings and all of the series 2 photos at hobiecatnationals.com.au"